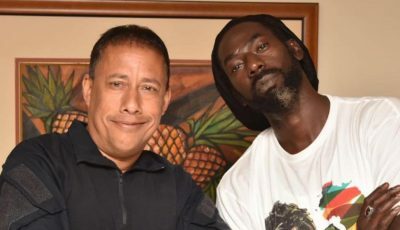 Bounty Killer and his latest recruit, ANG artist Calado teamed up to shoot their medley video, “When She Wine”(Bounty Killer) and “Nuh Gal Cyaa Tear Mi” (Calado). The songs which are currently getting heavy rotation on the radio and in the dancehall/parties is produced by Dreday on the Ground Zero Riddim and is a favorite for many party goers. The concept of this video will be the first of its kind for a video medley anywhere, as both songs are intertwined into one song for the medley video as opposed to showing 2 separate videos, so the storyline and concept will fit into both songs very well. 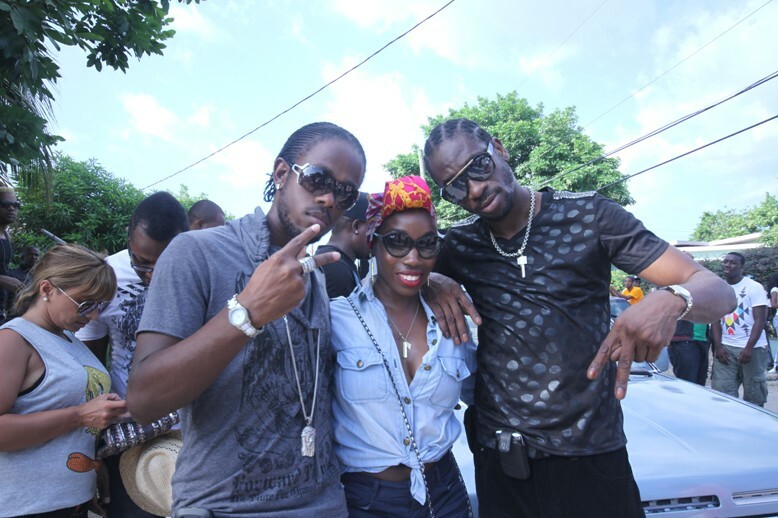 The video shoot was done a day before Bounty Killer’s 40th birthday, Sunday, June 11 in mainly the waltham park area. Alliance member Bling Dawg along with fellow artist Esco was on hand to show support, along with ANG members Iyara, Patexx and Marlon Binns. Calado is expected to gain momentum throughout the summer and beyond as his songs are being played very frequently by disc jocs from all around. His radio rotation has increased tremendously. After returning to the island in late April of this year, Calado is now looking to towards a 3 week promo tour of Canada coming up in a few weeks along with fellow ANG stablemate Iyara. Manager of the ANG Group, Cross Cris also had positive things to say, ” This video will definitely do well, i can feel it. The video is expected to be released within another week.